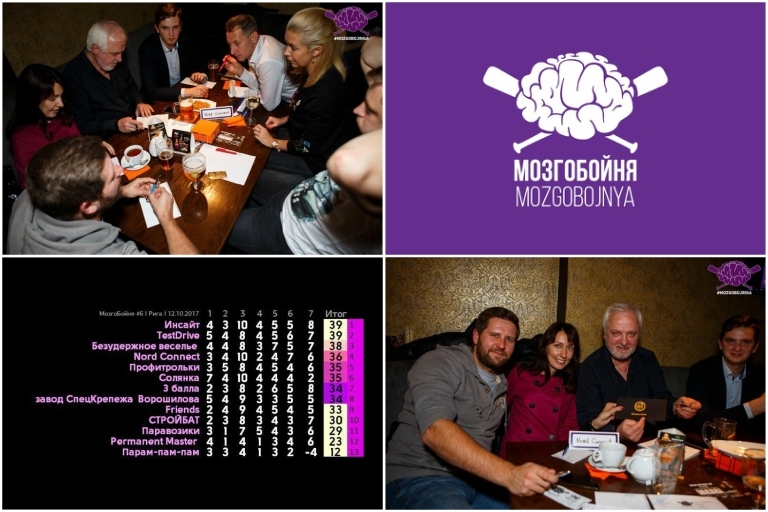 “MOZGOBOJNYA” – Nord Connect Ltd.
“MOZGOBOJNYA” is in trend now! It is a fun intellectual game of 7 rounds with 7 tricky questions in each, testing the participants’ knowledge of science, language, music, history and many other fields. 🌍📚 100 seconds is the time limit for answering each question. Only the smartest and the quickest have the chance to win, and this time our team moved up to the 4th place! Congratulations to us and other players! 🎉 See you next time at “MOZGOBOJNYA” in Riga!